While Infographics have become all the rage in recent years, they are in no wise a new concept. Infographics, also known as “information graphics,” have been around in print for quite some time. Newspapers, magazines and the like have often utilized Infographics to compliment a news story or article as they are a great way to disseminate lots of information quickly. Now they have become a very popular way to display and market content online. And in today’s age of “information overload,” Infographics are becoming more and more attractive to consumers of information due to the fact that it is so easy to digest the data they provide. Following is a simple guide on developing and promoting Infographics. Every great piece of content has to have its origin in the quality of an idea. Therefore the very first step, and what I personally feel is one of the most important ones, is to come up with a great idea. This task may be easy or quite difficult depending on your industry. 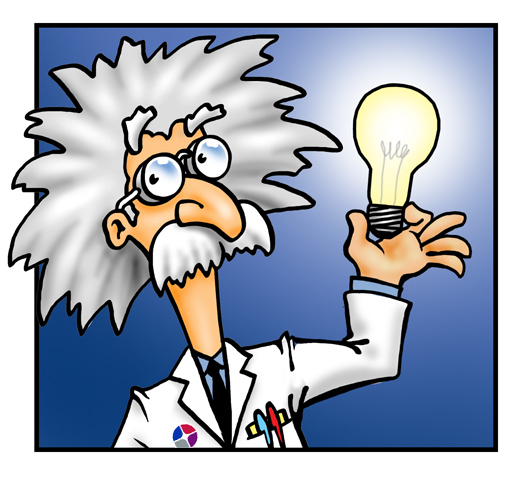 The general thought is to come up with a content idea that is either entertaining, resourceful, time-sensitive (i.e. current news or trends), historical and even all of the above. For example a friend of mine, who runs an Internet Marketing firm here in Phoenix, came up with a great content idea surrounding the death of Les Paul in 2009, founder of Gibson Guitars and a pioneer in the development of the solid-body electric guitar. His team created an Infographic entitled “Evolution of the Electric Guitar.” As you might guess, it contained a graphical evolution of the first known electric guitar up to modern times. The piece did so well that requests came in to make the Infographic into a poster. The Infographic had all of the pertinent elements of a good idea I mentioned beforehand – it was time-sensitive (Les Paul had just passed away), it was historical, it was resourceful, and it was even entertaining, at least for a fellow guitar player such as myself. Once you have a great idea in place, it’s time to gather the research. Depending on the nature of the piece, your research may contain historical facts, current data and trends or even creative ideas. If your Infographic revolves around historical information or data/trends, you’ll want to make sure you reference your citations in the footer of the Infographic itself. Including citations in these types of Infographics gives them more creedence because they are backed by credible sources. Document your research and/or story line in an outline format using Word, Google Docs or some other type of word processing program. This will help you edit and arrange the info prior to developing the actual information graphic. While I feel that a good idea itself is most crucial in the creation of Infographics, the actual design is not far behind in importance. First of all consider that fact that Infographics are typically very large images that are designed to initially be displayed as a smaller version of themselves. As the user clicks on the graphic, they are able to view the full sized version. You’ll have to to decide if you want your Infographic to stretch horizontally or vertically (if it needs to stretch at all). Most Infographics I come across in recent times are vertical which is not surprising due to the fact that people typically do not like to scroll horizontally but are very familiar with vertical scrolling. You’ll then need to decide when publishing the smaller version of the Infographic whether you want to display a smaller version of it or crop a section out. Obviously if you have a very large Infographic, shrinking it down is going to make it completely unreadable prior to enlarging it. The decision is up to you however I’d say with large Infographics, better to show a cropped section of it and then offer a clearly-visible option to the viewer to see the full size version. It goes without saying that a good designer is a must. While a great idea and content will help make or break an Infographic, aesthetically pleasing and intuitive design will catch the eyeballs in the first place. The best platform to publish an Infographic is a blog, and preferably a blog hosted on the site for which you want the Infographic to benefit. Keep in mind that if the piece does well, it is going to drive traffic, earn natural inbound links and possibly even create buzz. Therefore the best place to host an Infographic is on the same site for which it is to benefit. A blogging platform such as WordPress, provides a simple way to syndicate the content (RSS feed) as well as include the necessary social media voting buttons that will help in the promotion of the Infographic. If the site you wish to place the content on does not have a blogging platform, you can still post it as a “page” but you will want to make sure to manually include social media voting buttons. 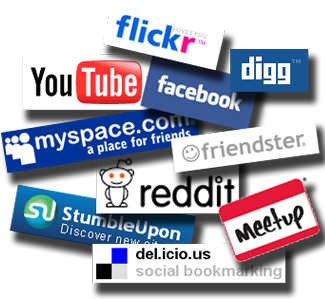 The most popular and necessary ones are going to be Facebook, Twitter, StumbleUpon, Digg, Reddit and Google +. With regards to earning natural links, it is important to include an “embed this” code which will easily allow other people to place your Infographic on their sites. You might be thinking right now, “Wait a damn minute! I don’t want my content on other people’s site.” However consider the fact that people may “steal” your graphic whether you want them to or not. So by providing an embed code, you can control how the Infographic appears on their site, including making sure there is a link back to your site and even incorporate strategic anchor text. As other webmasters utilize your embed source code, you will earn natural links back to your site – one of the main purposes of publishing the Infographic in the first place. Finally, it will be up to you whether you wish to include “textual” content along with the Infographic. The benefit of including html text based on the data included in the Infographic is that it can be indexed by search engines. Again, this is not always a crucial step but more of a preferential one. Once your Infographic is published – time to promote it. The best days of the week to promote in my experience is Tuesdays and Wednesdays. The general nature of the piece will determine which social networks it will do best on. 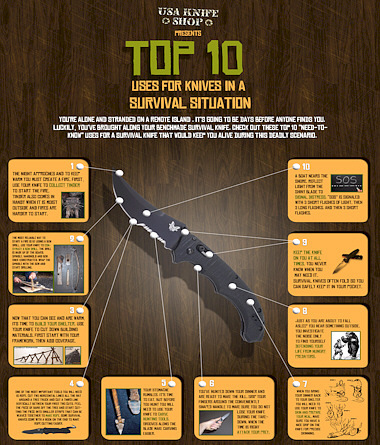 I have found that most Infographics do very well on StumbleUpon so you’ll definitely want to submit it there. If the content is really interesting, time-sensitive or even controversial in a way, it should do well on Digg as well. Any piece of content should always be shared to your Facebook and Twitter audiences. Beyond that, there are dozens of social media bookmarking sites and even Infographic sites that you can submit your content to. These are some of the fundamental ways one should go about promoting an Infographic. Having a large network of followers or in other words having “influential” status will help in getting others to come across the piece and share it on their own. If you lack influence on any social networks, it might be wise to have someone who does submit the content and/or share with their followers. In addition to this advice, Lee Odden wrote up an excellent post entitled “Infographic Marketing Tips: 11 Ways to Promote” that may provide you with some additional ideas. They include using press releases to draw attention to your content and even email marketing. The essential idea is to get the content out into the social networks and hope that the influencers will discover and share so the piece does well. About 3-4 weeks after the piece has been published, you will want to measure its success. If you have Google Analytics or some other type of traffic analytics program, you’ll want to look at the data to see how many people visited the Infographic, learn where they came from and even discover what they did after landing on the page. You can also utilize Yahoo Site Explorer (at least until they shut it down towards the end of this year) to discover who has linked back to the piece. There are other tools that will accomplish this task as well including Raven Tools’ Backlink Explorer and SEOmoz’s Open Site Explorer. Finally you’ll want to see how the content did on the most popular social networks. How many stumbles did it earn? Did it go “hot” on Digg? How many retweets or Facebook shares? Understanding how well a piece did (or did not) will help you in the creation and promotion of future Infographics. Well, there you go. Not an all-inclusive guide but hopefully I covered the basics. Oh, and if you are in need of Infographic design and/or marketing services, be sure to check out our Infographic marketing service page. I am glad you mentioned that we (DSM) did that piece back in 2009, because we have actually been publishing good content like this for years now for our clients … “Infographics” are all the rage right now, but we were creating visually stunning stuff long before it even had a term. Great tips Dave, you spelled it out perfectly for anyone wanting to test the waters with this type of marketing. Thanks again for the mention. Hey! great article! I will defiantly be using this technique to marketing. Thanks. Excellent info, I had to read it twice. I am trying to be patient as my content gains momentum, however it is becoming easier to come up with the “original idea” to add to my sites. A big fan of infographics, though they are very ‘in-vogue’ at the moment and I feel like I have one popping up in my inbox everyday. That said, it breaks up reading newsletters and blogs nicely. Excellent and timely post. Just looking at designing an infographic for a client and this post, along with your tools for designing them, is very useful indeed. Thank you.